Victoria Magnus is an independent hand dyer and knitwear designer, and the woman behind Eden Cottage Yarns. Based in Yorkshire, Victoria is inspired by nature and her surroundings, and hand dyes all her yarns in her home kitchen. Stocked worldwide, Eden Cottage Yarns specialise in high quality natural fibres, dyed to a relaxing and understated palette, to allow the beauty to shine through in your projects. When you’re an independent hand dyer by trade, and you’re exposed to a wide range of yarn bases, from the exotic to the workhorse, choosing one of them is a little like choosing a favourite child. We all know we shouldn’t really do it, but we do. Secretly. And, unlike children, it is sort of ok to have a favourite yarn. Something that offers that perfect mix of qualities, both as a canvas for dyeing, in my case, and as a material for creating beautiful projects. So I don’t mind putting my neck on the line and saying it out loud. For me, it’s all about Bluefaced Leicester. The Bluefaced Leicester sheep, as a breed, was developed as a result of a breeding scheme in the 1700s to develop a longwool sheep. Primarily concentrated in the North of England for a long time, there are now also many flocks in Wales and Scotland. But the Bluefaced blood goes further than that – BFL rams are have sired over half the UK’s breeding mules. “But what about the yarn?” I hear you cry. Well, like the sheep it comes from, I consider BFL to be the perfect all rounder. Here’s why. BFL, even by itself and without spinning it in with other fibres to create this effect, has a beautiful lustre that adds depth and interest to the final knitted fabric. BFL, by far and away, wears better than merino and stands up to quite a bit of abuse, whilst still looking as good as the day you knit it. When you spend so long creating a garment, you want it to look its best for as long as possible. BFL offers this property in abundance. The BFL in my hand dyed range (BFL Sock and Bowland DK) is worsted spun by the mill, which adds to the hardwearing properties mentioned above. Crucially, this spinning method also helps to reduce the amount of pilling in garments made from these yarns. Nobody wants to spend ages removing tatty pills, we want to be out showing our knitwear off. Unlike merino, you’ll spend little time with a pill remover on this yarn. 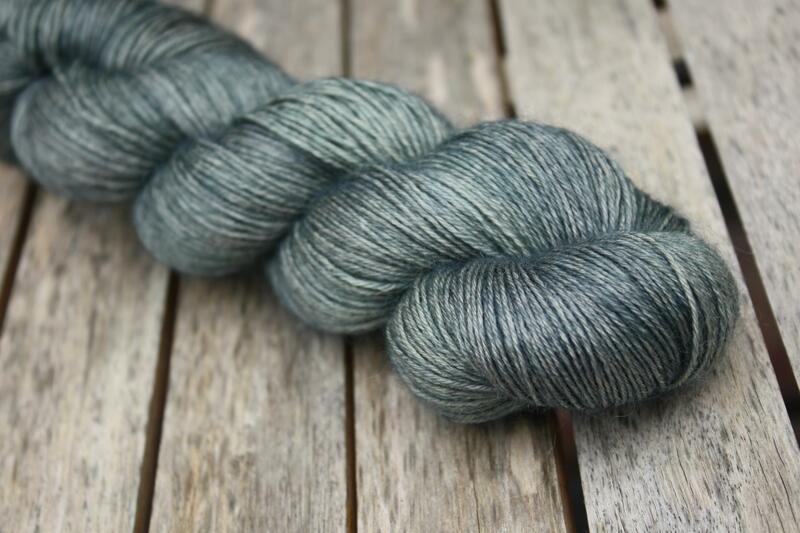 As a dyer, my heart sings at the way that colours glow when dyed onto this yarn base. 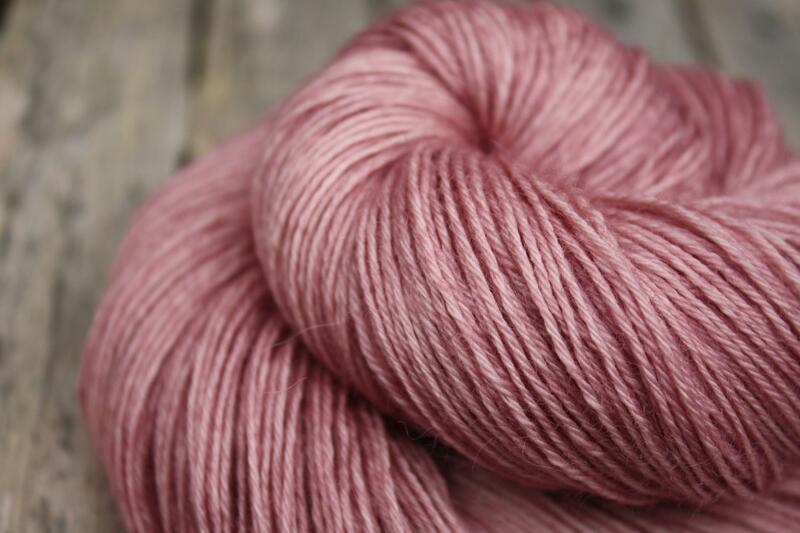 The lustre of the fibres means that the yarn develops a wonderful shimmer too. As if the other features mentioned above weren’t enough, this yarn also takes superwash treatment very well, making it easy to clean and care for. What more can we ask for? 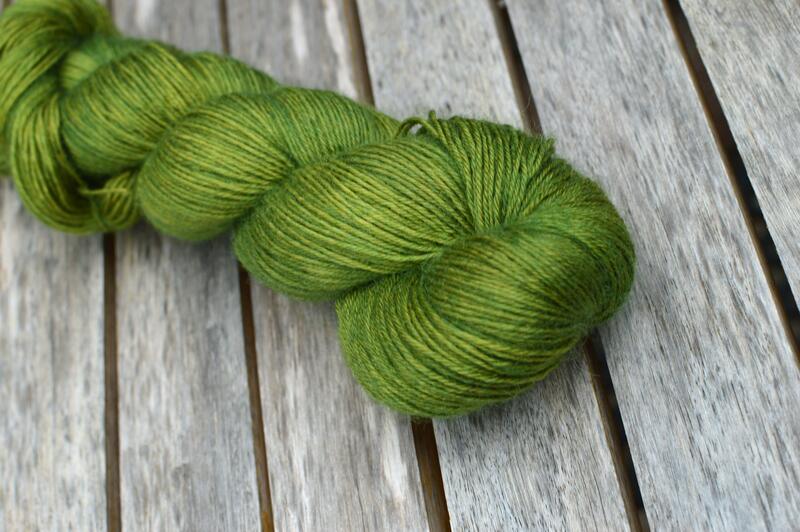 To be honest, I could go on and on about the reasons why this yarn will remain my number one crush for some time to come, and I totally understand why it has surged in popularity in recent years. You simply cannot go wrong with the blend of qualities BFL brings to the table, no matter what type of item you’re looking to create. Garmets, accessories, socks, shawls – this yarn can do it all in spectacular style! Thanks so much. Victoria. At WOVEMBER we love to revel in wool appreciation. Who else feels the need to go and pet all the BFL in their stash now? !